I love cars. I love to look at cars. I love to drive cars. I love to talk about cars. I love to read about cars. I just love cars. Out of all the cars out there I probably love the BMW M1 the best. Why the M1? Even though it was considered the ultimate super car of its time, it is not particularly fast or powerful by today's standards. It doesn't have all of the plush creature comforts and fancy electronics that most new cars have. It is not very practical. There is little room to put luggage or groceries anywhere and no room at all for kids in the back. Why then the M1? It does make all the right sounds. The engine cries, howls and screams some of the most gorgeous noises I have ever heard. The mid-engine layout and low center of gravity help to give the M1 wonderful handling. It looks as stunning and seductive as any other sports car from Italy but has functioning and reliable German made mechanicals. I also love the somewhat sad and tragic history of the M1. It seems to me that, during its short lifespan, the enthusiasts within BMW, dreaming crazy dreams of racing immortality, scored a victory over the Bavarian bean counting marketers. Sadly, in the end the M1 had to bow to economic realities and the lack of a place to compete in racing and the project was abandoned after only 455 examples were produced. 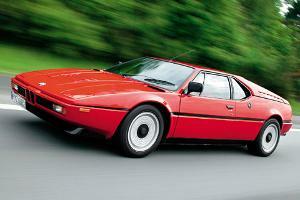 Anyone who googles “BMW M1” will find many links to sites with stories about and pictures of the M1. I am not looking to just add one more site to this list. I am about to start a complete nut-and-bold restoration of one of these rolling pieces of art. No two pieces of this car will stay together. I am told that the process will take a year (this probably means I should expect to see the finished product in about 18 to 24 months). On this site I want to document everything that is done, from the “before” to the “after” pictures and all that is involved in connecting the two. I purchased the ProjectM1 from a dealer in Florida on Saturday, February 4th 2006. She was delivered to the WerkShop early March. This is when the official start of this saga was recorded. The best way to follow the progress of this project and to see where it currently stands is to check the News Page. I also invite everybody to drop me an eMail with any questions, comments or remarks.